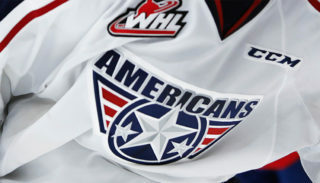 The Tri-City Americans faced the Portland Winterhawks for TidBids Tuesday tonight. The AMS had a scoreless 40 minuets, but that didn’t stop them from sneaking past the Winterhawk in the third. 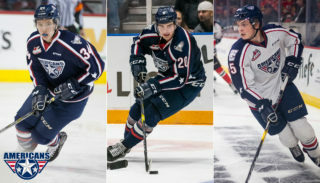 Jaydon Dureau and Josh Paterson scored two out of Portland’s three goals in the first period. The second period was scoreless from both ends leaving the score 2-0 AMS. Parker AuCoin scored his 27th goal and first goal of the night at the beginning of the third at 0:37. 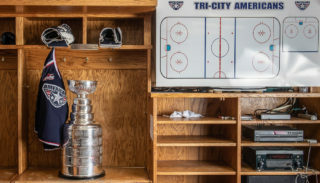 Samuel Huo, tied the game up at 8:06 with his first goal as a Tri-City American. Tri-City took the lead 3-2 with Nolan Yaremko goal assisted by Parker AuCoin. 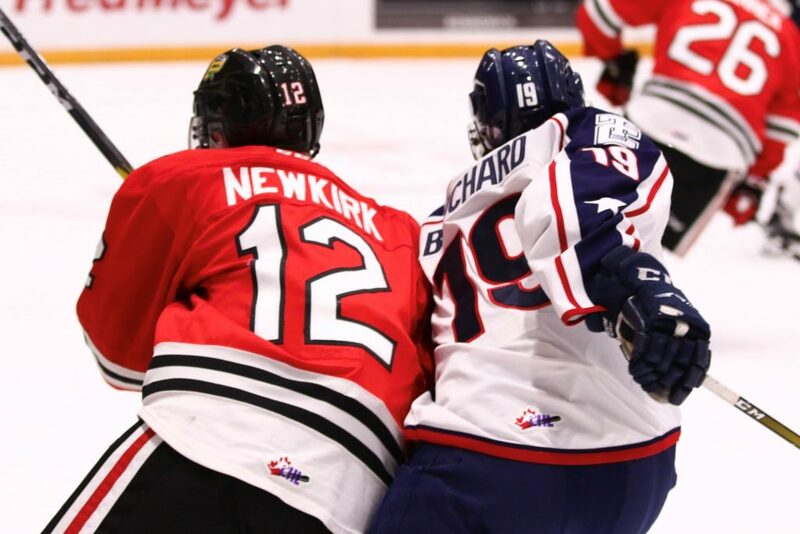 Connor Bouchard scored the power play game winning goal and the insurance goal to seal the deal. Final score: AMS 5– POR 3. 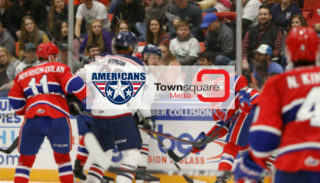 The Americans will take on the Kootenay ICE Friday at 7:05 p.m.